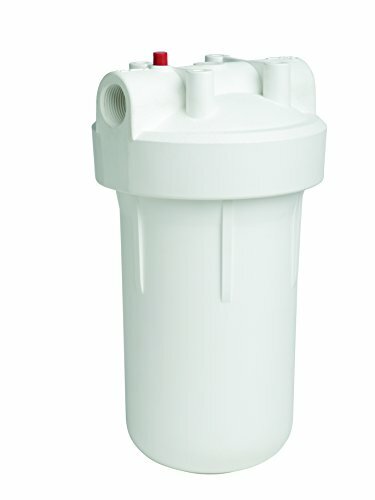 The EcoPure EPWO4 high flow whole home water filter system is designed for larger homes with 1 inch plumbing and installs on the incoming water line to filter out sediment, dirt, rust and sand for cleaner, clearer water throughout your home. This water filtration system allows for customized filtration based on filter choice, including carbon options for better tasting water at every faucet. The mounting bracket and pressure release button makes changing filters easy, saving you time and hassle. This system is universal fit meaning it will take most major brands of whole house replacement filters including: EcoPure, Whirlpool, Omni, Culligan, Watts, Filtrete, 3M, GE, and DuPont. Text EcoPure to 444999 to sign up for filter change reminders. Questions? Lifetime tech support available, call the EcoPure helpline at (800) 693-1138 or visit ecopure.com. If you have any questions about this product by EcoPure, contact us by completing and submitting the form below. If you are looking for a specif part number, please include it with your message.